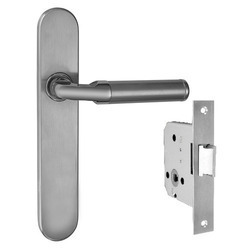 Being the well-distinguished companies in the market, we are into offering Mortise Lock. Our company is the major in offering Mortise Lock. Our company is a recognized name in this business and is indulged in presenting an enormous quality array of Mortise Lock to our clients. Offered Mortise Lock is available with us in varied designs and sizes. Our customers can get these products as per the varied needs and requirements. Being a customer oriented organization; we are highly engaged in providing a wide range of3 Lever Mortice Sashlock. 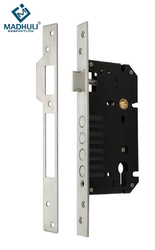 A durable and tough 6 lever mortise lock for internal / connecting doors of homes and offices. With a sleek handle set in satin finish. Corrosion, pick and force resistant, can be opened with key from inside and outside. Deadbolt.